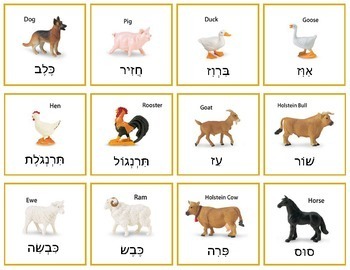 Hebrew Farm Animals - matching game, memory game, and more! *Magnetic cookie sheet board game - print twice and use magnetic strips on one copy to turn into magnets! Great for classrooms and homeschool! To learn hebrew language, and animals.